This is a guest post by Manas Kumar. Internet/online marketing is advantageous over traditional marketing in that it is cheaper, you reach more people, you advertise 24/7, you can personalize the marketing, there is increased interactivity, and you can easily track results. Your Internet marketing campaign stands to be more effective if you follow the latest trends. So, what strategies will make your Internet marketing campaign effective in 2014? Google has given “pet names” to their algorithm changes. These include Google Penguin, Panda, and Hummingbird. In 2014, algorithm changes will greatly affect your website’s rankings. You want a good rankings on search engines because the higher you rank, the greater the visibility and the greater the ROI. All good websites incorporate a link building campaign. If, however, your links are not giving you the desired results, chances are that they are broken. Cookies allow your website to follow visitors whenever they go online. It is expected that as more and more people use mobile devices to connect to the Internet, mobile devices will have local targeting tools that will make targeting more efficient. Take advantage of cookies in 2014 because although some people complain about it, you will be sure of improved brand awareness and increased conversions. It is, however, expected that cookies will be gradually replaced by such identification methods as device matching and you should take advantage of this. Industry players were hoping that social media would kill paid ads. The reality is, however, that businesses that are using paid social ads are getting better results compared to those that simply have Facebook Fan pages, YouTube accounts, and Twitter followers. Paid social ads are better than traditional paid ads such as Google AdWords because you get deeper user engagement. As an example, an Adroll study shows that Facebook ads give you 49 times more clicks than such right-hand side ads on Google. You should make your SEO campaign more local. This allows you to reach people who are more likely to know the location of your business. Location based advertising through Smartphones really caught on in 2013 and the trend is expected to increase in 2014. Content remains king in 2014. Your content should be information-rich and it should address the needs of your target audience. Great content not only brings you out as a professional, but it also helps you build loyalty. Do keyword optimization. Although graphics slow down websites and are, therefore, detrimental to your SEO campaign, you should not rule out visual content altogether. Generate just the right amount of video content because studies have shown that video content has consistently outperformed such text-based content as blogs. Retailers are reporting more revenue from Pinterest boards compared to Facebook posts and tweets. Create a YouTube account and link it to your website if you haven’t already. You should also take advantage of such new micro-video channels as SnapChat and Vine. Consider responsive web design since more and more people are using mobile devices to connect to the Internet. Responsive web design allows you to create a website that can be used across all Internet-enabled devices, meaning you will save on web design and content creation costs. The use of mobile apps like Instagram, WhatsApp, Snapchat, and WeChat is also on the rise and you should take advantage of it in 2014. 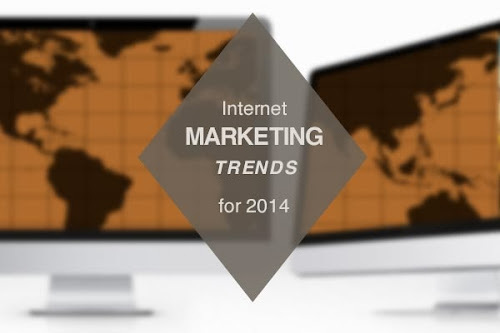 Internet marketing in 2014 will be more challenging than ever. Work harder, smarter and use more effective marketing strategies, only then you can turn challenges into rewards and bring success to your business. 15 comments to "5 Tips for Effective Internet Marketing in 2014"
its seems too be very intersting in 2014. Link farming is very bad for seo. Thanks for sharing this useful tips for SEO trends in 2014, this will really helps us to get good rankings in search engines. Very good tips, I like point 1 very much to save our site from Google updates. Thanks for the post. Really awesome internet marketing tips, which is very much effective for boosting the website ranks. Thanks for sharing such a more informative blog. Great point about content being King. Every single time Google's Matt Cutts makes a video post about SEO, he mentions great content as the way to ensure longevity for your website. Google has been getting smarter and smarter and penalizing sites who made it big through shady link-building. They're not perfect yet, but I think eventually most self-promotion will be almost obsolete leaving content--and others genuinely liking the site as a result--the way to do it. You have written great informative blog post indeed, I think you missed the big one. That is email marketing, it's a great way for perfect long time profitable online marketing. Well defined article. Before you begin your campaign, do as much research as possible. Study your competitors, find out how they are doing, and then try to replicate what is working for them.